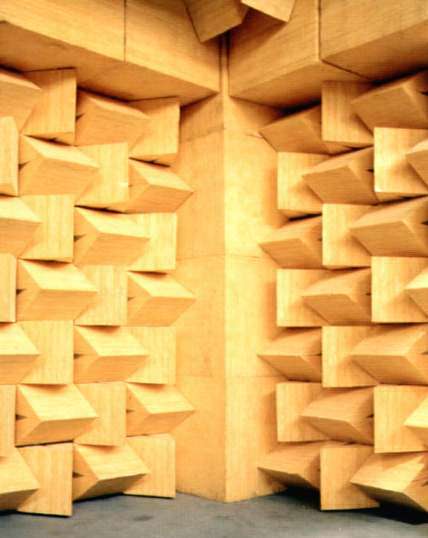 Acoustic rooms and chambers for industrial equipment and aeronautical engine test purpose, semi-anechoic and anechoic chambers, control rooms. A solution for any sound control requirement in the Research & Development stage of the industrial manufacturing. The needs to produce machinery and components with controlled, declared and certified sound level, make it essential for a growing number of companies to have a sound controlled environment, where may take measurements. The characteristics required for these specific uses do not justify the necessary investments for the classic masonry rooms, but it will be considered suitable solutions, according to industrial requirements, in order to adapt better to installation development and flexibility. 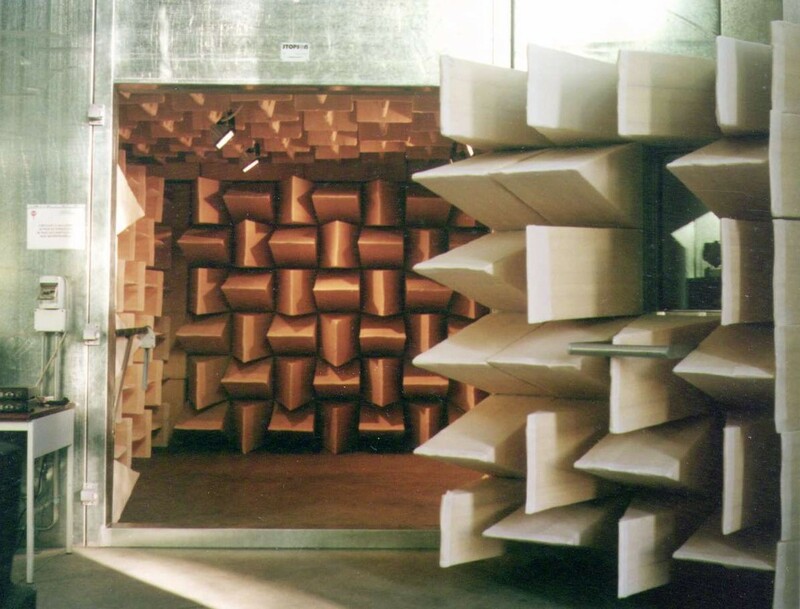 STOPSON is offering a set of prefabricated anechoic or semi-anechoic chambers, internally treated with standard wedges sized according to the lowest operating frequency, eventually equipped with control room. This provides working areas at a sufficiently low sound pressure level, limited reverberation and therefore areas of actual operability to ensure an accurate acoustic performance. 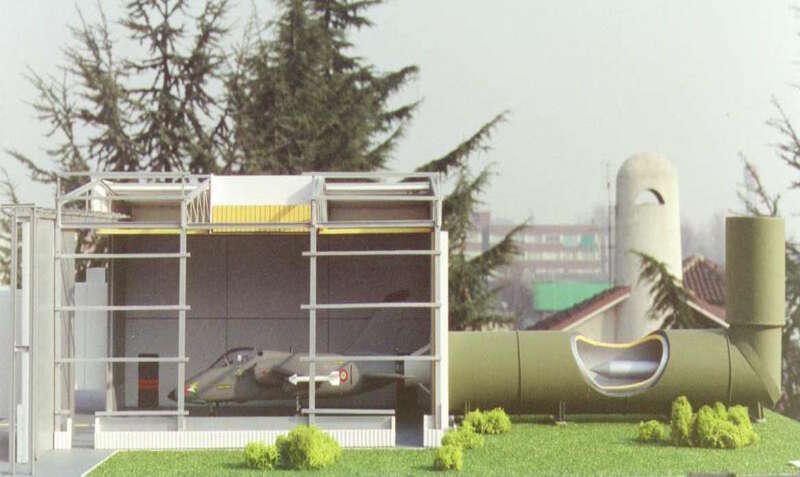 Engine Noise Test Cells (ENTC’s) are typically environments for testing a standalone engine. ENTC’s feature a coupled exhaust extraction system, independent ventilation and cooling, a conditioned aspiration air intake set-up and the ability to accommodate either an AC or DC engine dynamometer. 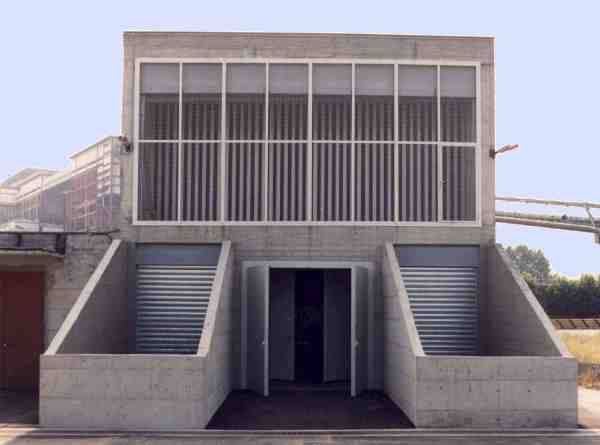 STOPSON can provide a complete solution to acoustic engine testing facilities. Whether the requirement is just for an acoustic package including acoustic doors, windows and anechoic wedges or a turnkey solution, Stopson is unrivalled in our capability to deliver. A turnkey service is available on all Stopson ENTC's including ventilation system, exhaust extraction and lighting with the added peace of mind of having a single supplier responsible for the acoustic performance of the chamber. An appropriate management of ventilation pressure drop calculation is necessary to provide suitable ambient conditions inside the test cell in terms of pressure/depressure.